Choosing a plastic surgeon involves more than just seeking a skilled practitioner. The right plastic surgeon for you is also an advocate in guiding you through the decision process both physically and emotionally. Dr. Claytor strives to give each patient the personal attention that enables his patients to understand their goals and to develop a treatment plan to meet those goals. The Claytor Noone Plastic Surgery Institute, with over 50 years of physician-combined experience, helps patients to decide what is best for them based upon their individual needs and desires. 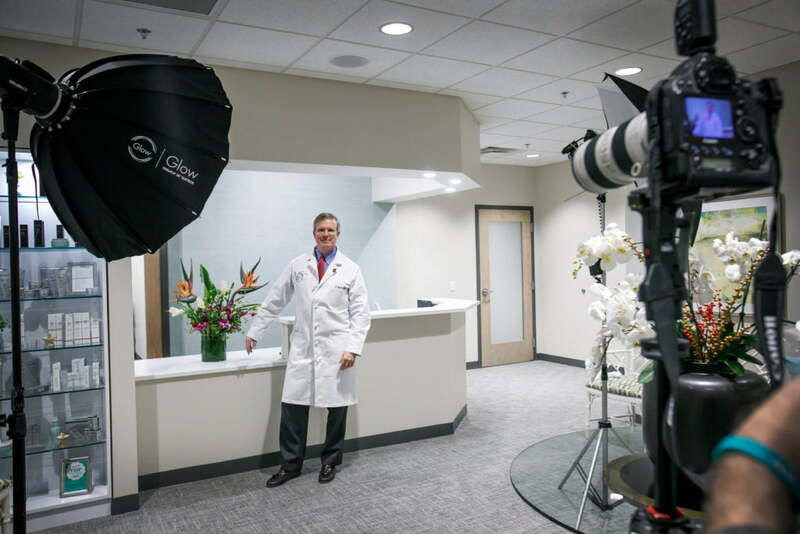 Dr. Claytor has extensive experience in all aspects of cosmetic breast, body and facial surgery, and he prides himself in his compassionate care to breast reconstruction patients. Dr. Claytor’s knowledgeable, dedicated and caring staff look forward to guiding you through the process. Dr. Claytor’s office hours are Monday – Friday from 8:00am to 5:00 pm. After you have completed all necessary paperwork at the reception desk, you will be shown a video which generally covers your area(s) of concern. The doctor will then evaluate you, review the procedure(s) available to you, and if indicated develop a plan for surgery. If your appointment is for surgery concerning the face we request that you do not wear any makeup to the office or plan to allow enough time to remove it when you arrive prior to your appointment time. We also ask that you refrain from bringing cell phones or small children with you into the examination room as these may interfere with providing you a thorough and complete evaluation. The final part of your appointment will include photography and meeting with a patient coordinator to discuss scheduling and financial arrangements. We strive to make every consultation as personalized and informative as possible. Please be informed however, that this initial visit may take up to two hours. It is often helpful to bring a list of any questions you may have. See our Essential Guide to Plastic Surgery for a list of questions and also information about plastic surgery. After your appointment, if you should have any additional questions or concerns, you are welcome to return without charge to review your initial consultation. Feel free to contact our office staff with any questions after your evaluation. The office staff will be available to you Monday through Friday until from 9:00am to 5:00 PM. Should you need emergency assistance after 5:00 PM or on weekends, the doctor on call can be reached through our answering service by calling our office number 610.527.4833. If Dr. Claytor is away or not available, he will be “signed-out” to another qualified plastic surgeon in our emergency call group.